If you are looking for a personal boutique for your hair, skin, and nail care needs, we welcome you to join us! We cater to the area’s local residents. Get a one-on-one experience with your stylist in a calm and comfortable environment. If you are looking for a personal boutique for your hair, skin, and nail care needs, we welcome you to join us! We cater to the area’s local residents. Get a one-on-one experience with your stylist in a calm and comfortable environment. Be Polished Nails has an array of indulgent services to treat your hands and feet, from basic express services to a treatment... inspired by Hawaiian hot stone massage that is the epitome of pedicure pampering. All-natural skincare products are used in all manicures and pedicures. Be Polished Nails has an array of indulgent services to treat your hands and feet, from basic express services to a treatment... inspired by Hawaiian hot stone massage that is the epitome of pedicure pampering. All-natural skincare products are used in all manicures and pedicures. McAllister Spa has quickly established itself as the hottest spa & salon on Miami Beach. Conveniently located on South Beach’s busiest street, it is emerging as a hub for fashion and beauty in South Florida. Whatever your esthetic needs, Miami Beach comes to McAllister Spa to look their very best. McAllister Spa has quickly established itself as the hottest spa & salon on Miami Beach. Conveniently located on South Beach’s busiest street, it is emerging as a hub for fashion and beauty in South Florida. Whatever your esthetic needs, Miami Beach comes to McAllister Spa to look their very best. The Nail Studio is a nail salon located in Lakeside Mall in Sterling Heights, MI that offers full nail service. The Nail Studio recently opened its doors in Mid-November! We are committed to providing each and every client with an enjoyable, professional and relaxing experience! If you are searching for a pedicure or a manicure, we are confident that you will be 100% satisfied when selecting the Nail Studio for your next visit! Our extensive referral base comes from our devoted customers. The Nail Studio is a nail salon located in Lakeside Mall in Sterling Heights, MI that offers full nail service. 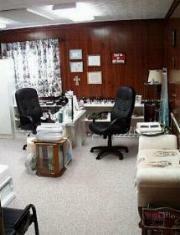 The Nail Studio recently opened its doors in Mid-November! We are committed to providing each and every client with an enjoyable, professional and relaxing experience! If you are searching for a pedicure or a manicure, we are confident that you will be 100% satisfied when selecting the Nail Studio for your next visit! Our extensive referral base comes from our devoted customers. Lavish Nail Spa was created with a belief that everyone deserves the finest quality professional care in a luxurious environment. We have a world-class team of professionals that are dedicated to meet your desire for flawless beauty. When you arrive at our nail spa your services begins with a consultation to ensure that your needs and request are met. We use only the finest and finest and highest quality products on the market today to provide a lavish and safe experience. Lavish Nail Spa was created with a belief that everyone deserves the finest quality professional care in a luxurious environment. We have a world-class team of professionals that are dedicated to meet your desire for flawless beauty. When you arrive at our nail spa your services begins with a consultation to ensure that your needs and request are met. We use only the finest and finest and highest quality products on the market today to provide a lavish and safe experience. Milagros Personal Training Center in Solana Beach provides a motivational environment where you can achieve your fitness goals through physical training and diet coaching from your personal trainer. Milagros Personal Training Center in Solana Beach provides a motivational environment where you can achieve your fitness goals through physical training and diet coaching from your personal trainer. Beautiful Hands by West Perth Nail Technician. Of course you want your nails, fingers and the rest of your hands to look good. Beautiful Hands by West Perth Nail Technician. Of course you want your nails, fingers and the rest of your hands to look good. Castro Nails Beauty Spa provides customers with the best quality services: Nails, Waxing, Facial, Body Treatment, Wrapping, Massage, Mani/Pedi, Nail Tips. Walk Ins Welcome. Castro Nails Beauty Spa provides customers with the best quality services: Nails, Waxing, Facial, Body Treatment, Wrapping, Massage, Mani/Pedi, Nail Tips. Walk Ins Welcome. Show Joplin your Dark Side! We offer traditional tanning beds, as well as Hollywood style airbrush tanning! Get a golden brown tan! While you're here, we also are a full service hair and nail salon! Show Joplin your Dark Side! We offer traditional tanning beds, as well as Hollywood style airbrush tanning! Get a golden brown tan! While you're here, we also are a full service hair and nail salon!